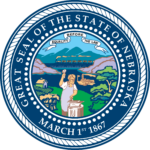 Nebraska has begun to honor South Dakota enhanced concealed carry permits when in the possession of permit holders ages 21 and older. Earlier this month we reported on the reciprocity agreement with Delaware but since Nebraska is an adjacent state I'm confident SD residents will find this latest update far more valuable. The official webpage on the Nebraska State Patrol website hasn't been updated with the changes as of this writing but we have seen news reports on various South Dakota publications that confirm this change. I live in South Dakota and have a South Dakota concealed carry permit. What’s the difference between a South Dakota enhanced concealed carry permit and a South Dakota concealed carry permit? Also, where and what do I have to do to get a South Dakota enhanced concealed carry permit? I’m new to this website and have enjoyed the time I’ve spent learning here, Thank you for your time and consideration. Michael, the SD enhanced permit requires you complete an approved training course. The standard permit does not. Contact your county sheriff’s office for details on the approved course and who in your area teaches it.